It'll look even better over time as it gets more and more rusted and weathered from sitting out in the sun and the monsoons. Whenever I'm happy with how rusted it's become, I can add a clear coat to it so it won't rust anymore! We may have to move it to our backyard if our HOA says it's too tall but we'll cross that bridge when we get there. I didn't exactly ask for their permission first. Oops! I love the tree but we think it's lined up with our sewer line. We're not 100% sure but if that's the case, we're going to have to move it to our backyard before it gets too mature and starts to grow into our pipes. Speaking of our backyard, I sourced some ground cover at the place next door to where we got the saguaro from! It turns out that it's going to be much cheaper than I had initially thought which is awesome! 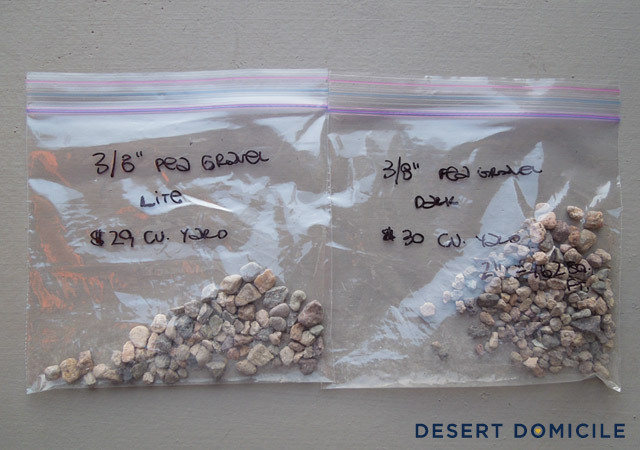 We're going to be going with the light pea gravel (on the left) which is $29 a cubic yard. 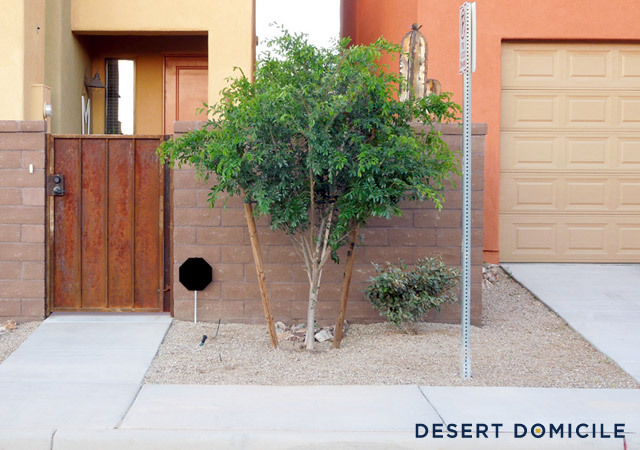 We still need to figure out the square footage of our yards and how thick we want the ground cover layer to be but for example, if we needed 10 cubic yards, it would only be $290! I had originally thought it was going to cost around $2,000 to $3,000 for ground cover so that's a BIG difference and a huge relief! What'd you guys get done this weekend? How did you celebrate Mother's Day? 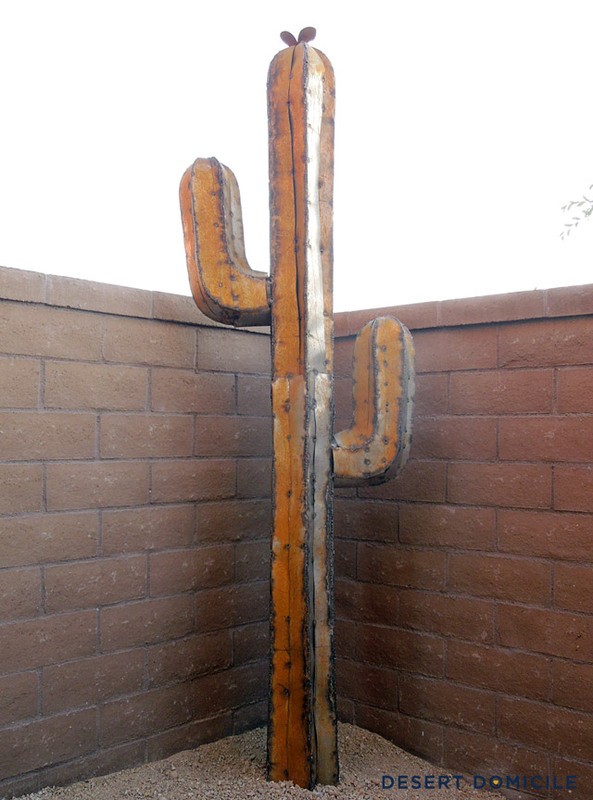 The metal saguaro statue is AMAZING! It is the first time I see one and I am impressed how good it looks in your backyark, like it has always been there. 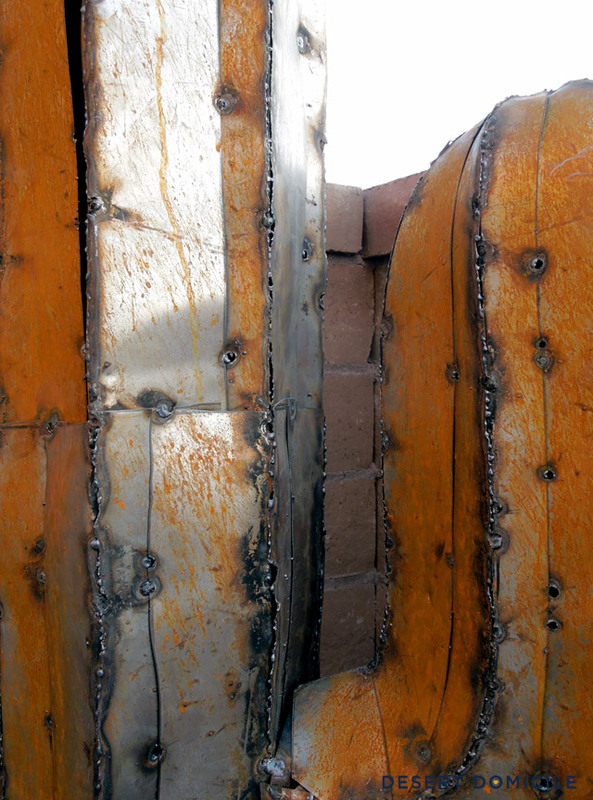 Love the saguaro statue! So different! Ooo, that statue is fun. The cool stuff of desert life! LOVE LOVE LOVE LOVE LOVE LOVE LOVE the metal cactus!!!!! Oh my goodness, that statue is amazing! i love it and all of its rustiness! Wow that thing is AWESOME!! I hope you don't have to move it to the back lol!! and I gotta say I really missing living in the desert and having pea gravel.. grass can be so hard to deal with! I love the rusty metal statue. 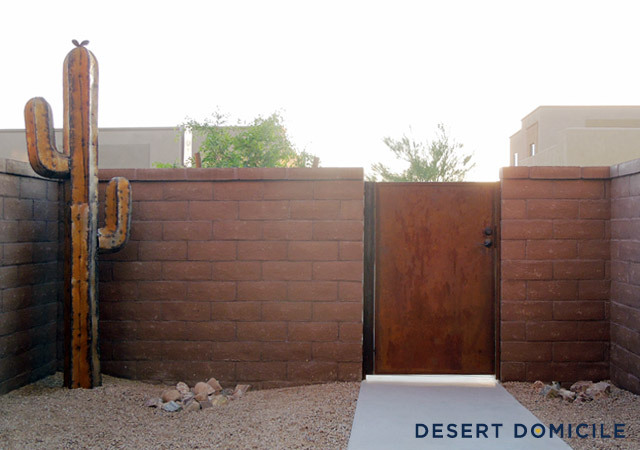 My parents actually have a similar one and it's just perfect for you desert folk.